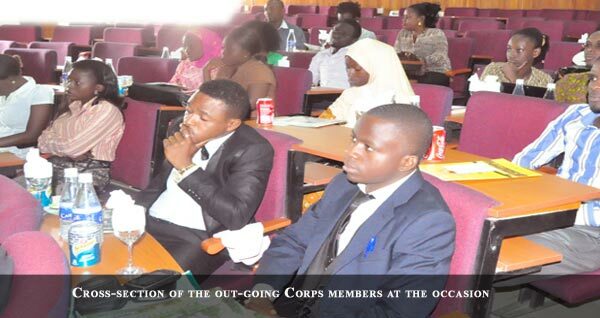 The University has held a send-forth ceremony for the 2012/2013 Batch ‘C’ Corps Members that served in the institution. Speaking at the occasion, the Vice-Chancellor, Professor Olusola Oyewole, called on the corps members to be focused, prayerful and be prepared to take leadership responsibilities. The Vice-Chancellor, who was represented by the Director, Academic Planning, Professor Adekojo Waheed, said “you went to the University for various studies and have passed through certain experiences here in this great citadel of learning, which had made you a complete person” and should continue to uphold the culture of punctuality the University has taught you. 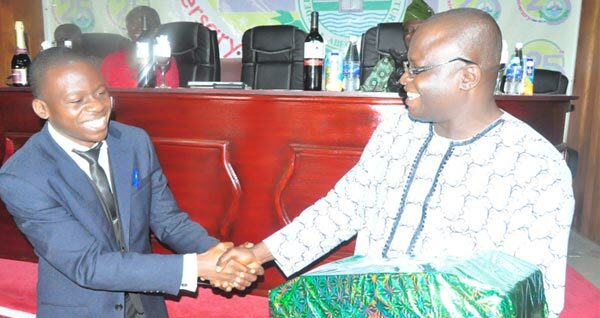 He commended the corps members for contributing their own quota to the development of FUNAAB and expressed his joy that no negative report was made against them throughout their stay. He advised them not to allow the inordinate crave for money to be their paramount desire, but rather seek for greater knowledge by enrolling for their Masters’ Degree programmes. The Vice-Chancellor added that the essence of the NYSC Scheme was to basically allow the members have ample opportunity to interact with others from different parts of the country by learning from different cultures and experiences. The Internal Corpers’ Liaison Officer (ICLO) for the batch, Mr. ‘Tosin Akegbejo-Samsons, expressed appreciation to Management for enabling them to serve in the various Departments of the University. Miss. Odebudo Fatima, who served with the Directorate of Internal Audit, also said she appreciated the fact that she served in Ogun State because indigenes of the Gateway State were always desirous of learning new things. Miss. 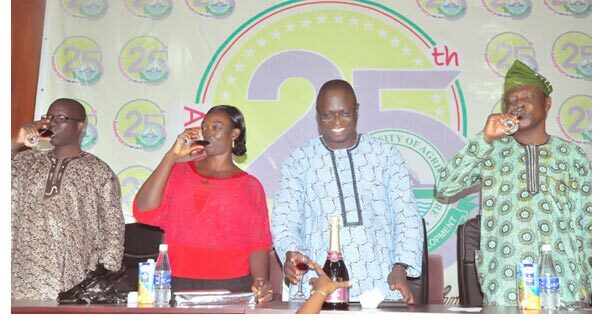 Mesele Evelyn, who served in the Mathematics Department, said she was considering the possibility of settling down in Abeokuta because the city is cool, calm and devoid of the usual hustling and bustling, associated with cosmopolitan cities. However, the duo of Akerele Oluwatoba and Ayo-Ibine Abisola, while sharing their experiences appealed to the relevant government authorities to provide regular electricity supply, as well as ease transportation problems being encountered especially at the Camp area end of the Alabata road, due to the many pot-holes on the road. Speaking earlier, an Inspector from the Odeda Local Government Area, Mrs. Ranti Joseph, advised the corps members to always keep the flag flying wherever they find themselves, as she lauded FUNAAB’s Management for assisting the Federal Government to take good care of the corps members.